I was in the Lower Eastside today and decided to check out a friend's store on a whim. It's called 3sixteen and their showroom and office are on Orchard Street. I was impressed with the presentation and the quality of the clothes. It's pretty inspiring to see how far 3sixteen has come along, starting out just as a tee-shirt shop a few years ago. 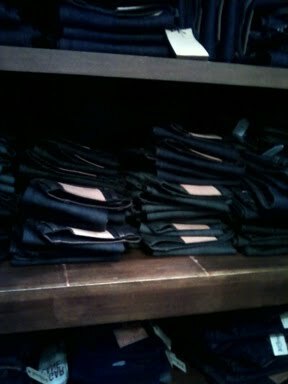 Now they design great denim jeans (unfortunately out of my price range) and they also have footwear and cut and sew. Check them out! Interesting area of the city. We were in that area last spring and went to the tenement museum. Ate at a Cambodian restaurant, though it was good, it was a bit like overpriced pho.